Scarcely a stone's throw from the river in Usk, Monmouthshire, sits a tiny fishing tackle shop. Inside antique and modern rods sit side by side, while well-used display cases are filled with colourful fishing flies. In a room behind the shop. Jean Williams creates her beautiful concoctions, prized by generations of fishermen. Jean has owned Sweet's Fishing Tackle shop since 1978, although she has worked there since the 1960s. 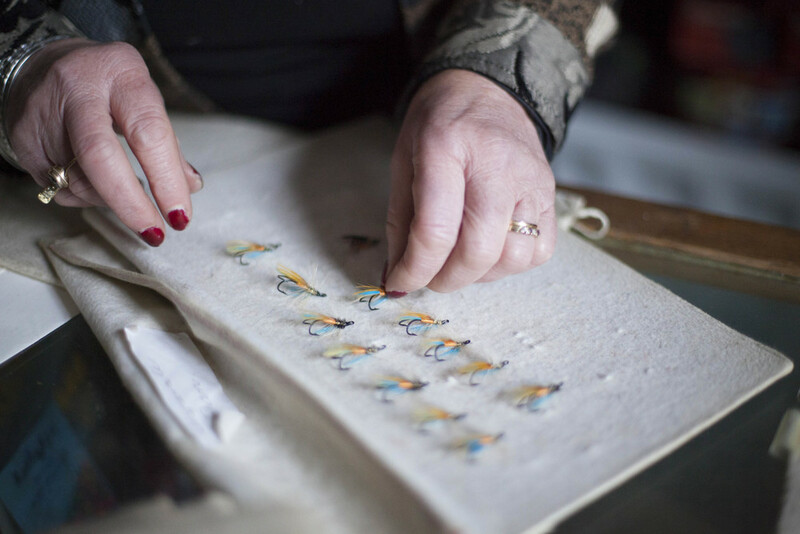 She is a traditional fly-dresser, an expert in hand tying delicate, often tiny, flamboyant artificial fishing flies. These are used to catch Salmo trutta, the brown trout, on the River Usk. "I enjoy making flies. 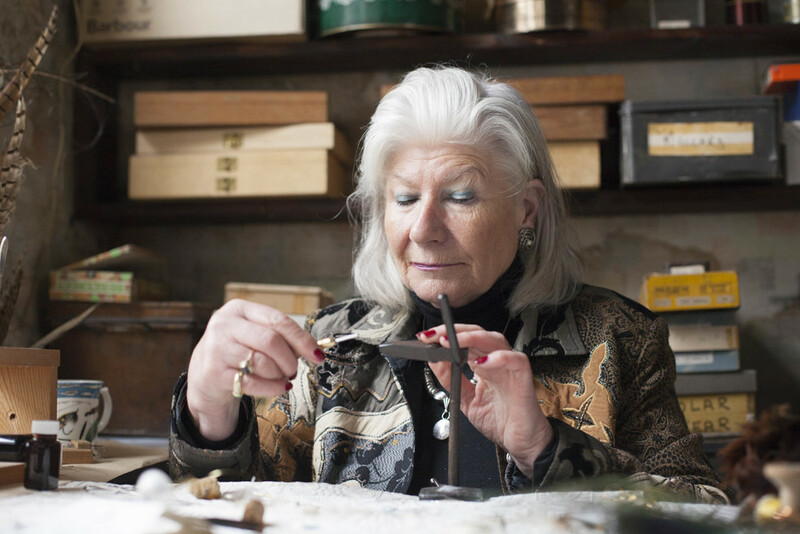 It's very tactile and I love working with so many beautiful things," she says. "There is such an array of colours and textures, and different sorts of materials. There are soft feathers and furs, pieces of silk, hair and wood. There are the beautiful colours of the finished flies." The full feature on Jean Williams appeared in our May/June 2016 issue. For back issues, click here or to subscribe, click here.